??? IT'S CHRISTMAS EVE! ?? ?Santa is busy all day in our grotto, but when he gets his lunch break he loves nothing more than a quick skate! 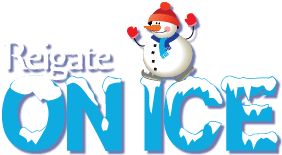 ⛸?BOOK YOUR SKATE NOW: https://reigateonice.digitickets.co.uk/tickets ? Bring the kids to meet Santa! Adults go free when accompanying a paying child.